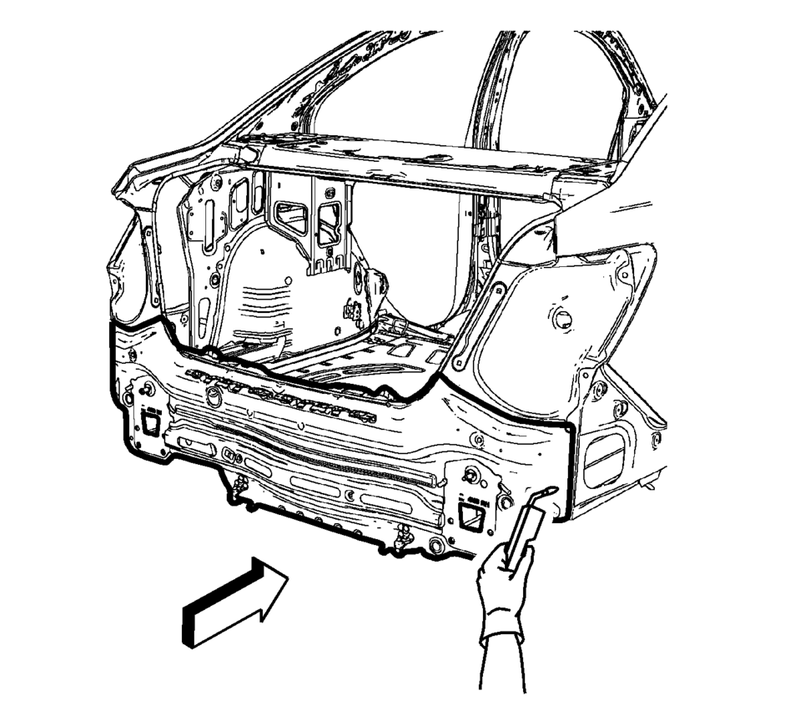 The rear end lower panel reinforcement extension is made of Ultra High Strength Dual Phase Steel and should be replaced only at factory joints. Repairing or sectioning of this part is not recommended. Refer to Ultra High Strength Dual Phase Steel. Visually inspect the damage. Repair as much of the damage as possible. 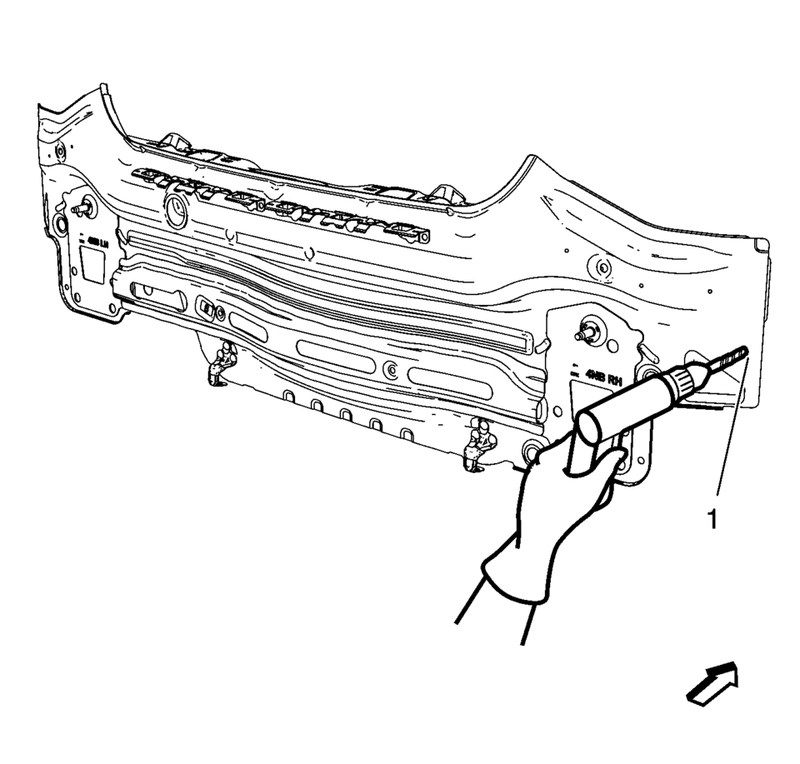 Note the number and location of welds for installation of the service assembly. 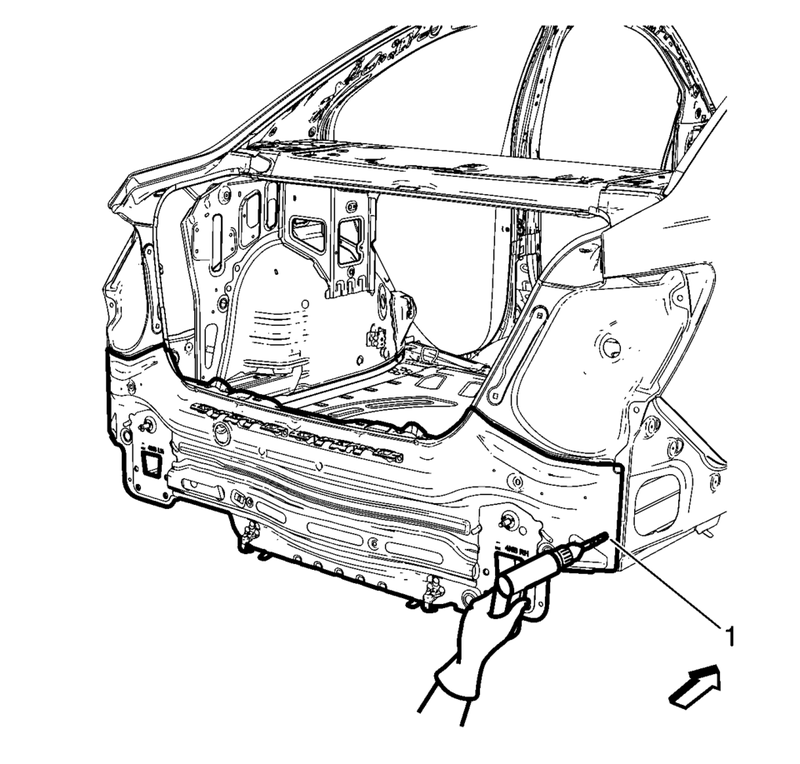 Locate and mark all the necessary factory welds of the body rear end panel. Drill all factory welds (1). Remove the body rear end panel (1). holes for plug welding along the edges of the body rear end panel (1) as noted from the original panel. Position the body rear end panel on the vehicle (1). 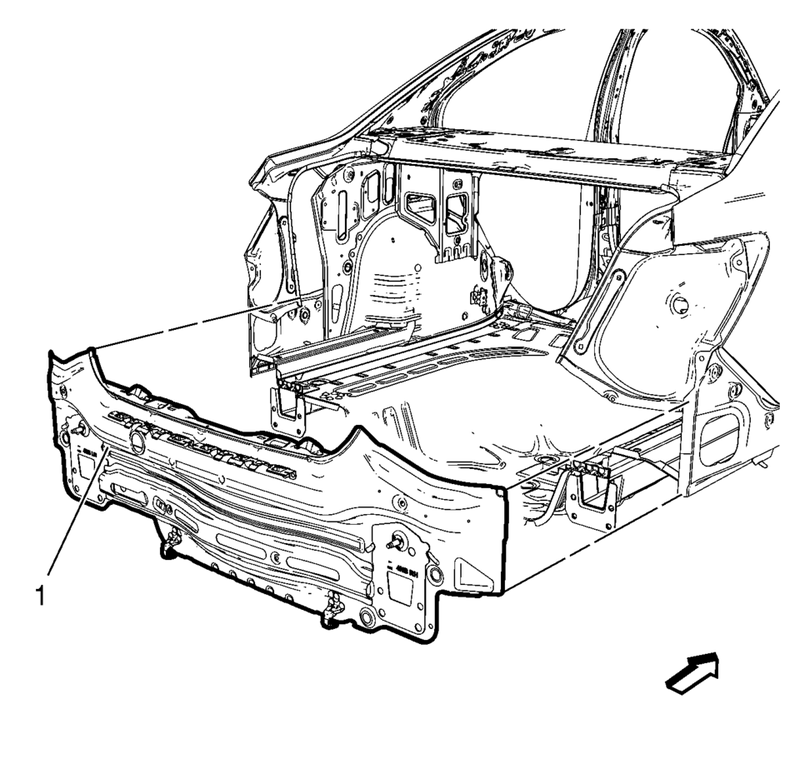 Verify the fit of the body rear end panel. Clamp the body rear end panel into position.